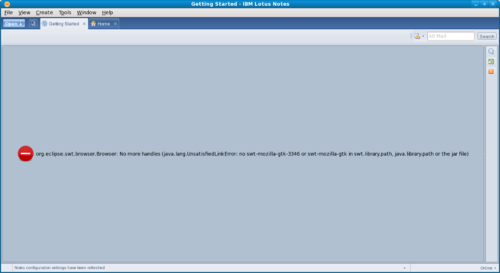 I recently got tired of running Lotus Notes under wine because I kept getting meeting invites that I couldn't accept. 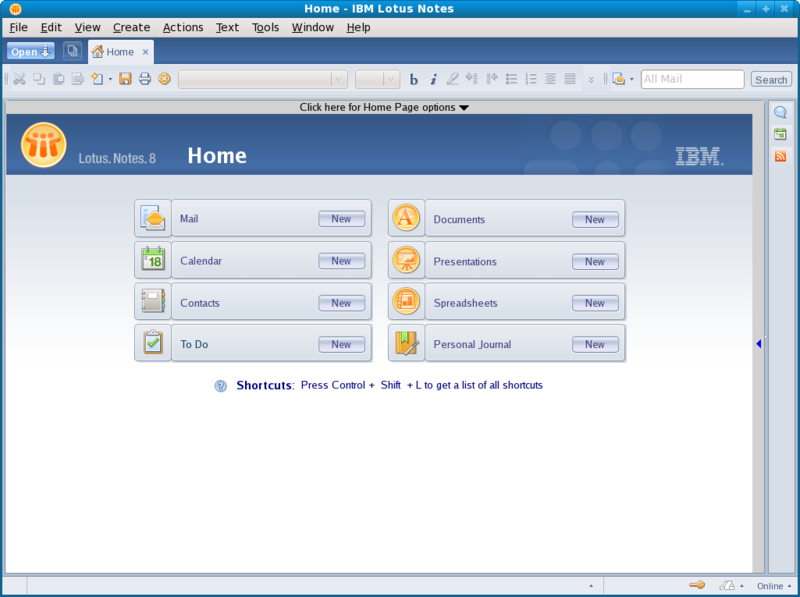 So I ventured out because I had heard that Notes now had a Linux client and sure enough it does. The install is huge but it went very smooth up until the point that I first launched to read my mail. 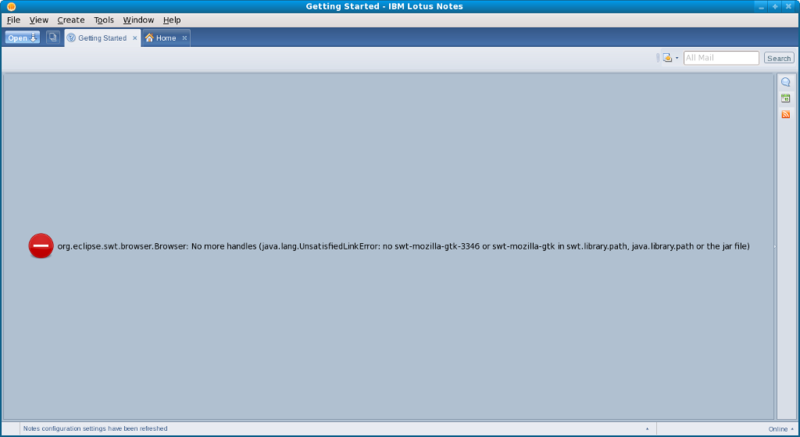 At the point where it should have shown me the start screen I got an error dialog with the error "JVM terminated. Exit code=160" and a big stack trace. Now the key to getting Notes into a usable state is to close the "Getting Started" tab. If you don't do this you can never move xulrunner back into place. Once you have closed the tab exit out of Notes and then put the xulrunner libraries back where they belong. Now you can start Notes without an issue, just make sure not to open anything that requires a web browser. After going through this someone pointed me towards the latest 8.5 beta 2 release of Lotus Notes for Linux and after installing that I can report that it actually has fixed the issue. So whenever 8.5 comes out this should be fixed until another incompatible version of xulrunner comes out. 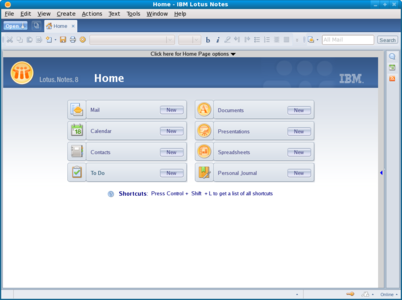 This entry was posted in linux, software and tagged lotus notes, xulrunner on March 2, 2009 by carson.